Optimize your Hard Disk Drive and improve its performance. This tutorial will explain you several ways to improve your PC speed and get fast results in your HDD. In one of my previous post I showed you several ways to improve start-up time and performance of Windows 8. 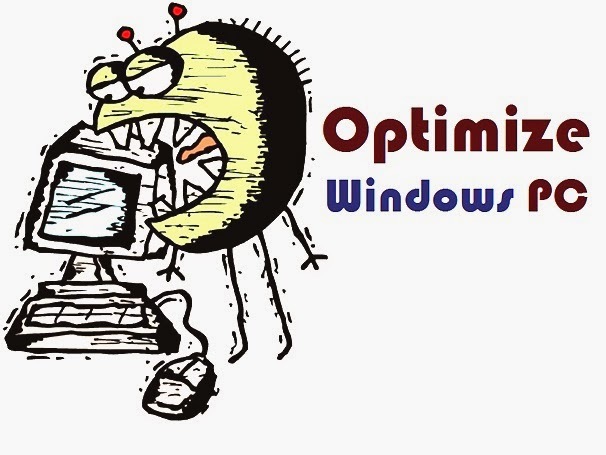 Those tips will also work perfectly on Windows 7 and Vista as all the OS have same process. You can manage start-up apps, tweak your registry, background programs etc to gain additional speed on Computer. In this post, you will learn optimizing your Hard Disk Drives, so that you get much faster response from your HDD. Lets now see the process step by step. You can cleanup your Hard Drive to ensure you don't have any unwanted files. If you install and than uninstall applications many times than your HDD can become fragmented or might have some errors in your PC drive. In this tutorial we will see several process to check your system for errors and solve them. You can also see video tutorial for some of the steps. Let us begin now. Note: You must sign in to your PC with administrator privilege. We will first check if there are any errors in our Hard Drive. See the process given below to know how to check your system. Now choose any drive (the drive which you think is little or very slow). Right click on the Hard Drive and than click on Properties. Now move to Tools tab. In the Error Checking Option, click Check button. If there are any errors, you will be prompted to solve the errors. If you're getting difficulties than see the video given below to know checking and solving errors in your HD. If, after following the above step doesn't solve your problem than you might need to cleanup your Hard Disk Drive and system. Follow the below given step to perform system cleanup. At first, explore Windows Explorer. Now right click on the drive on which your Windows OS is installed and than click Properties. Now click on Disk Cleanup. Didn't understand the above steps to cleanup your System? See the video tutorial below. If you're still getting errors and your Windows PC Hard Drive is slow than your Disk may be fragmented. Follow the following steps to defragment your Hard Drive. Open Explorer by double clicking the Computer button. Or click start button and choose Computer. Now see the drive in which you're getting errors. Right click on the HDD which is slow and click Properties. In the Optimize and Defragment drive option click Optimize button. Choose the drive in the defragmentation wizard and click Analyze. If the drive is more than 10% (or near) than your will need to defragment your Hard Drive. Wait (it will take several minutes to finish), don't run any other program at this time. After defragmentation finishes you will get a faster performance. See the video tutorial below to know how defragmentation works. If you want to check your system performance and errors than you can use HD Tune. This software can check your system performance and most errors. This software is also available for free. You can also use SpeedFan to see errors and speed of your PC. CCleaner is a good option to perform Disk Cleanup and solve PC errors. You can also manage startup programs and many options is available in the software. Use your Anti-Virus to fully scan your system. If the above steps doesn't solve your problem than you can refresh your Windows OS and if necessary re-install your Operating System.